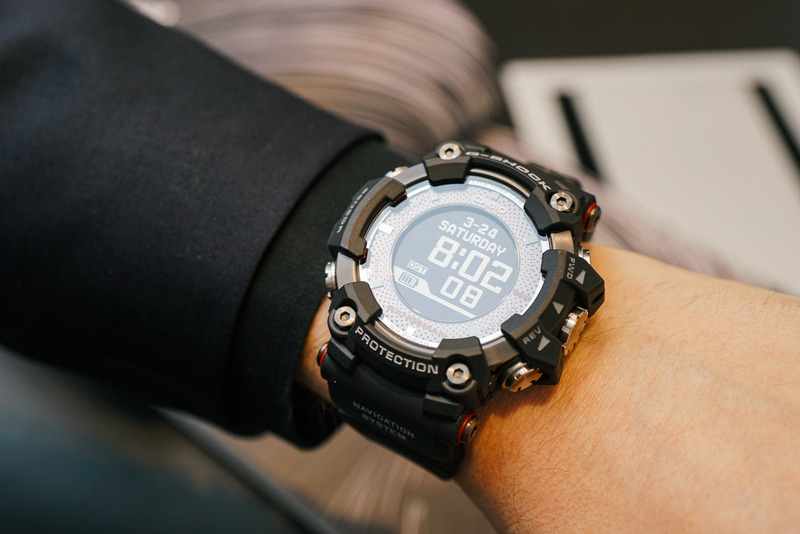 There's been no shortage of excellent watches at this year's Baselworld show, but for digital watch fans, it was a very good year, with new MR-G and Master of G watches (like the all-new GPS-powered Rangeman), but none of them seem to have generated as much buzz or anticipation as the new 'Full Metal' 5000-series G-Shock watches. 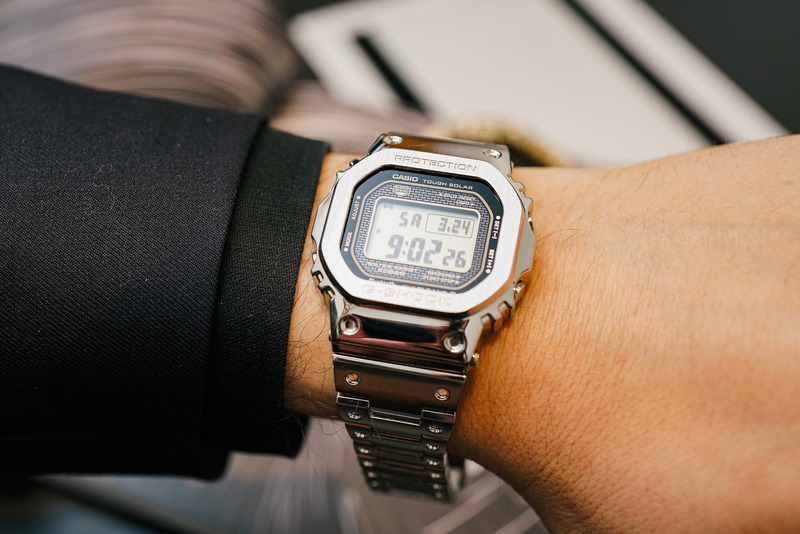 The all-metal treatment is one that G-Shock fans have been long awaiting, albeit in a general, non-limited global release. And with no word on any limited nature of any sort with GMW-B 5000 D-1 (steel) and GMW-B 5000 TFG-9 (IP gold-plated), Russ and I fully expect these to be at the top of many a wishlist this summer. 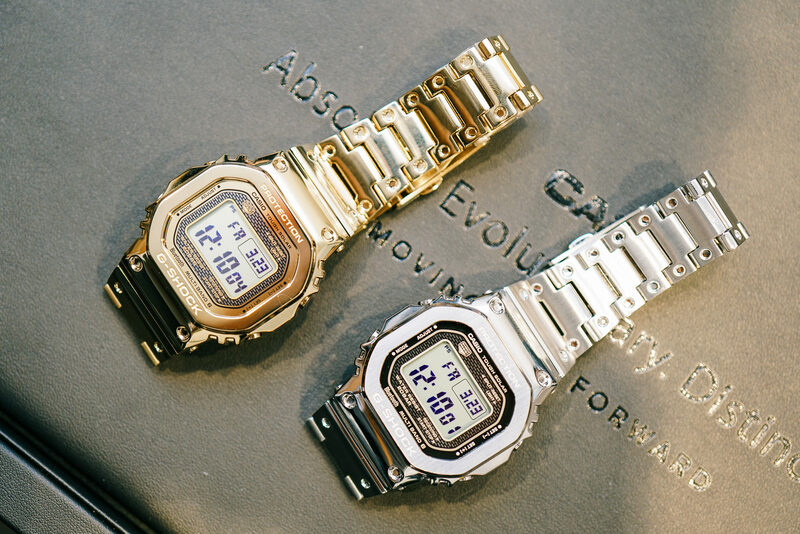 The 5000 series is the perfect G to receive this signature treatment, but it has indeed been a long time coming. 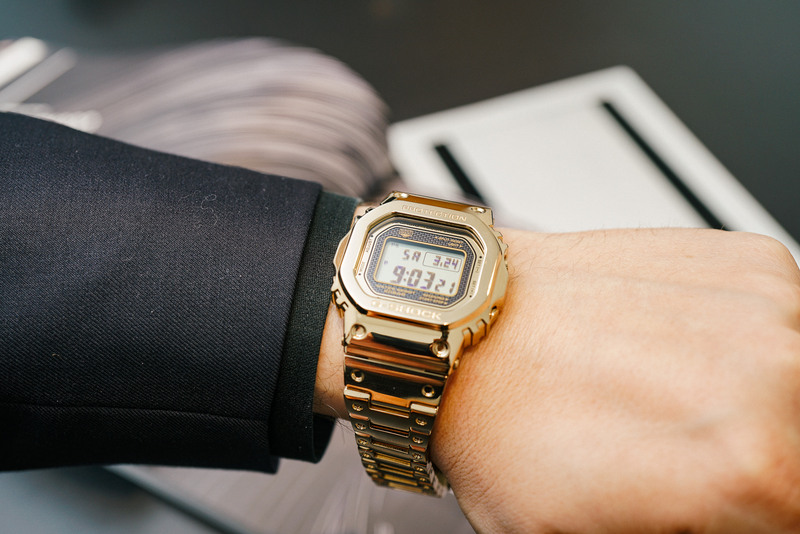 Casio had to develop a new impact-resistant structure for these cases, which of course are subjected to – and must pass – the same rigorous torture tests as their resin-clad brethren. 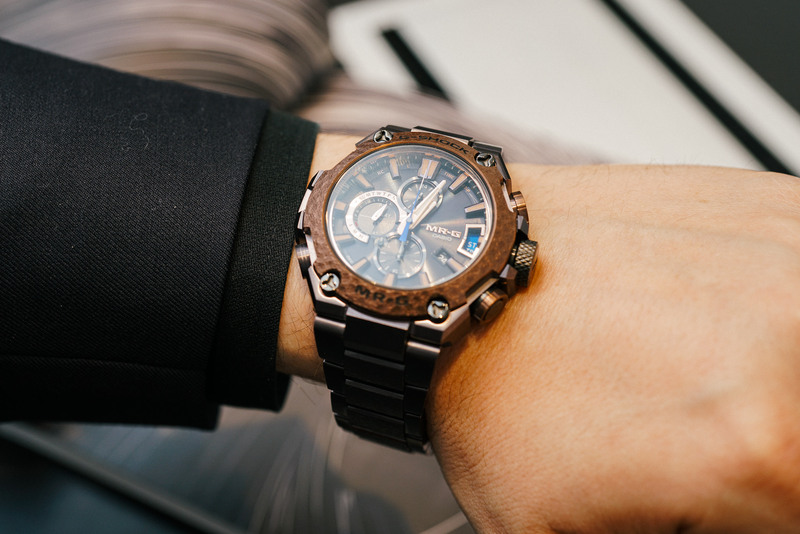 Longtime fans will recognize the premium feature set (1/100th second chronograph, perpetual calendar, alarms, Tough Solar charging, 6-band radio time synchronization, and Bluetooth connectivity), and the now signature 43mm x 13mm silhouette. But what's new, is the weight – which tips the scalesaround a very assertive 165 grams (not far from any traditional 43mm steel sports watch). Best of all, is the instant gratification – we're expecting these in Topper very soon, which is particularly nice, as we don't see many Baselworld releases until later in the summer. 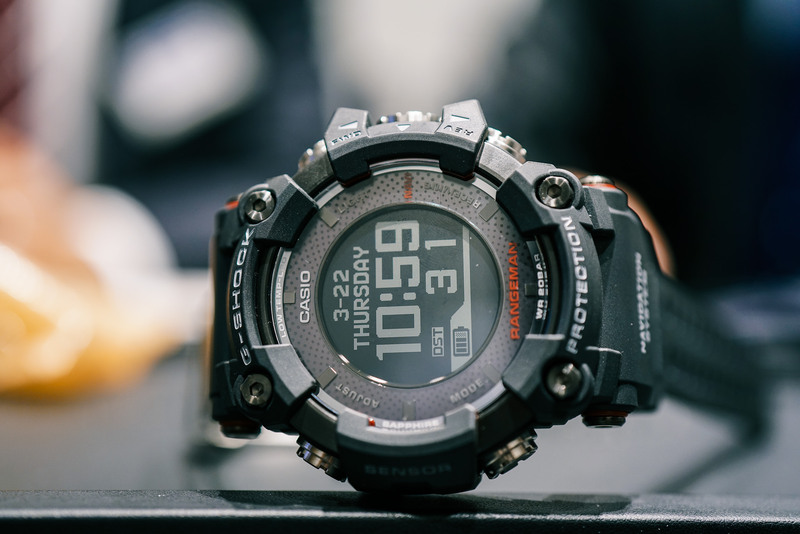 Casio was also pleased to show off its new GPS-powered Rangeman, making no attempt to hide the fact that this is now the brand's ultimate tool watch. Taking the full range of sensors and features in the Master of G watches, the Rangeman mixes in the world's first solar-assisted GPS module, and a ceramic caseback to support wireless charging, enabling the GPS to run autonomously in the field for nearly 40 hours before needing a recharge. All of this, while withstanding G-Shock's signature torture tests – dust, dirt, mud, low temperatures, impact, etc. – truly unprecedented for any GPS device. 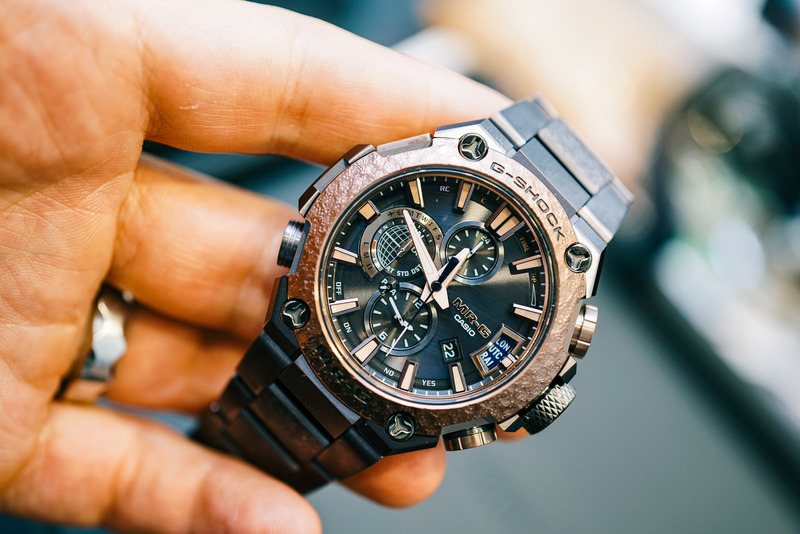 With an mind-boggling feature set tailor-made for the active outdoorsman, the best resolution of any G-Shock to date, and a silhouette that's quite unlike anything we've ever tried, this is truly one of the most impressive watches of the show. And for those who prefer not to wait, the Rangeman will also be arriving at Topper in April! Lastly, we had a chance to check out the latest MR-G to be landing at Topper later this year: the MRGG2000HA, limited to 350 pieces inspired by the hammering techniques used to create the "tsuba," or the hilt of a Japanese samurai sword. In addition to the bezels, the center links on the titanium bracelet also exhibit this amazing finish. Fully connected, and bearing the full feature set of the 2000-series MR-G watches (more background on those here), this very special edition marks an extremely impressive intersection between technology and Japanese culture, and should please fans of either (or both)! Stay tuned, as we'll be updating the thread with a video interview with the folks at Casio, but for the time being, if you have any questions about the new G-Shocks or are interested in pre-ordering one, visit our new G-Shock Pre-Order Central page or email us at info@topperjewelers.com. If you don't see your desired G-Shock in the Pre-Order Central, don't worry, just call the shop at 888-730-2221, and we'll be happy to assist you. For the latest in the rest of Topper's show coverage, head over to our Baselworld 2018 page!